We also had an issue where in some cases you would end up with a blank page in your PDF. This occurred when you had a page break followed by fields that were not showing up (As you intended!) due to a value not being present in those fields. We recommend that you generate a PDF with these changes in place and see how it looks. If you continue to see an issue, please submit a ticket. This might seem minor but we added the standard "gear" menu item to access your App Settings. You can still get there by clicking on the name of the App itself, but this calls out more clearly that there are settings to be found. This is part of our ongoing mission to make our product easier to use. We also made some our our system emails a bit prettier. These are the emails you receive if you receive a Workflow handoff (If the email option is checked or you are using our Windows Desktop App) or a Dispatch, for example. If you reset your password then that email was also designed. Design at GoCanvas is a big priority for us in 2019. You'll see a lot of this type of thing get improved this year. If you are on a plan (Users on our Individual Plan do not have this option) that supports our out of the box integrations with Box, DropBox, Google Drive, Salesforce, Evernote or Zapier then you'll see a different look to the Integrations page which is found on the App Settings page. We have exposed more of the integrations that are available via Zapier to help our customers understand more about what could be possible using Zapier. 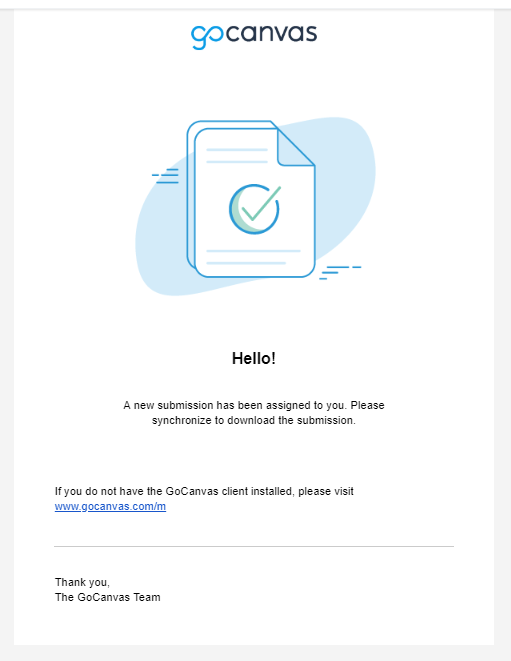 If you are using other cloud-based services and want to connect GoCanvas to those services then Zapier might be the best tool for you. Learn all about using Zapier with GoCanvas. Our online Community offers you the opportunity to comment on our releases, request new functionality and vote for functionality requested by other GoCanvas customers. Jump in and take a look!